As you scrolled through the gossip columns and trawled through various sites on the internet searching for Manchester United’s next glamorous addition, I can only assume you didn’t see Diogo Dalot’s name appear very much. Here is the lowdown on the man Jose Mourinho would like to add to his ranks. What has his career been like so far? 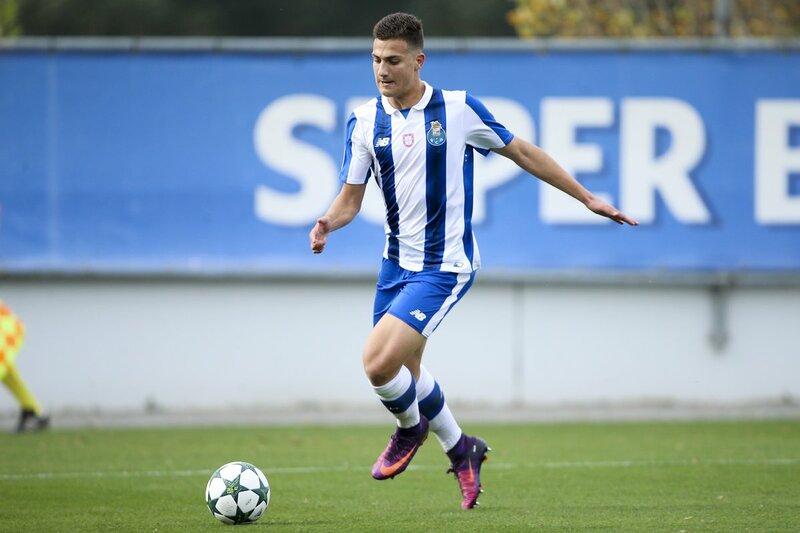 Jose Diogo Dalot Teixeira joined Porto as a nine year old back in 2008 and has been associated with the Portuguese giants for ten years since. He’s featured six times for the first team in their successful Primera Liga season and has gained 55 caps for Portugal at various youth levels, including representing them at the U20 World Cup last year. Despite it being widely reported that he is an orthodox full-back, Dalot predominately played in a wing-back/wide midfield role for Porto’s B team, due to them deploying a 3-4-1-2 formation. The four league starts he made came at left-back, as did the one away at Anfield, where he was part of a back four to keep a clean sheet against Jurgen Klopp’s Liverpool side. What will it mean for the other full-backs? His arrival will all but end Matteo Darmian’s three year stay in Manchester, with Juventus keen on the Italian international. Daley Blind also looks to be on his way out of the club, while loan moves are still possible for Timothy Fosu-Mensah and Axel Tuanzebe, both of whom can play at centre-back or in midfield. Luke Shaw and Ashley Young will continue to fight it out on the left. Antonio Valencia will likely continue as first choice. Will he get much first team action? The assumption is he will be brought in to provide competition for Valencia. Yet the fact United will be fighting on four fronts next season once again, the likelihood is Dalot will get first team minutes. His versatility will be a benefit to him, his ability to play on either flank, including further up the field, in a variety of formations, means Jose Mourinho could use him as a bench option to change system. Is he worth the price-tag? Five years ago, if you’d have paid £17m for a player who has a handful of appearances to his name, you would have been ridiculed. These days it’s the norm. Rumour would have it Real Madrid, Bayern Munich and Barcelona are all interested, and Porto are disappointed to have lost him, especially given the departure of Ricardo Pereira to Leicester. One can only hope he can be a success, should he move to Old Trafford.